Keep from Google is a handy tool and is among the best note-taking apps for your Android and iOS. Keep being a Google product syncs all the notes taken on the app and web version on Google Drive thus making it available on any and every device you use. It is also in our best productivity apps list. However, at times, Keep may stop syncing notes taken on your Android device or web version. 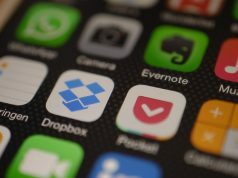 This can be annoying as one of the reasons why note-taking apps are such a handy tool is because of seamless synchronization across devices. If Google Keep is not syncing your notes, here is how to fix it. If you just installed Google Keep and find it not syncing your notes on the Google Drive, a quick restart can fix the issue. It did work for me, so, give it a try. Press and hold the power key and tap Reboot. As the phone reboots, the app will start syncing the notes provided that you are connected to the internet. 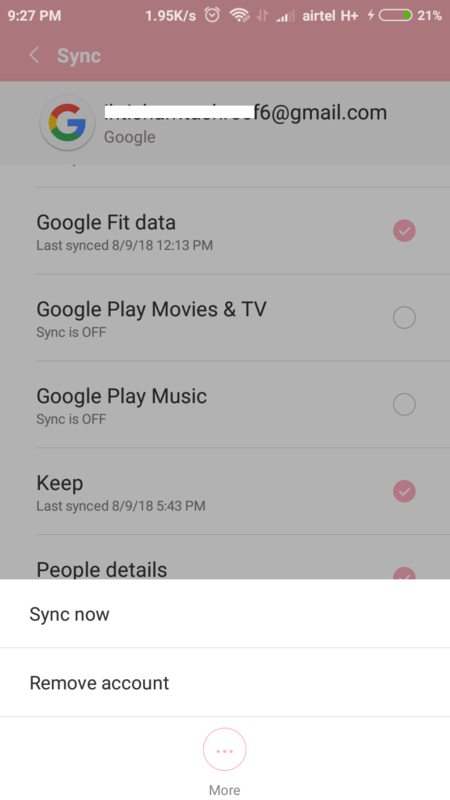 Sync settings in Android allow you to turn on and off sync option for any apps from the settings. 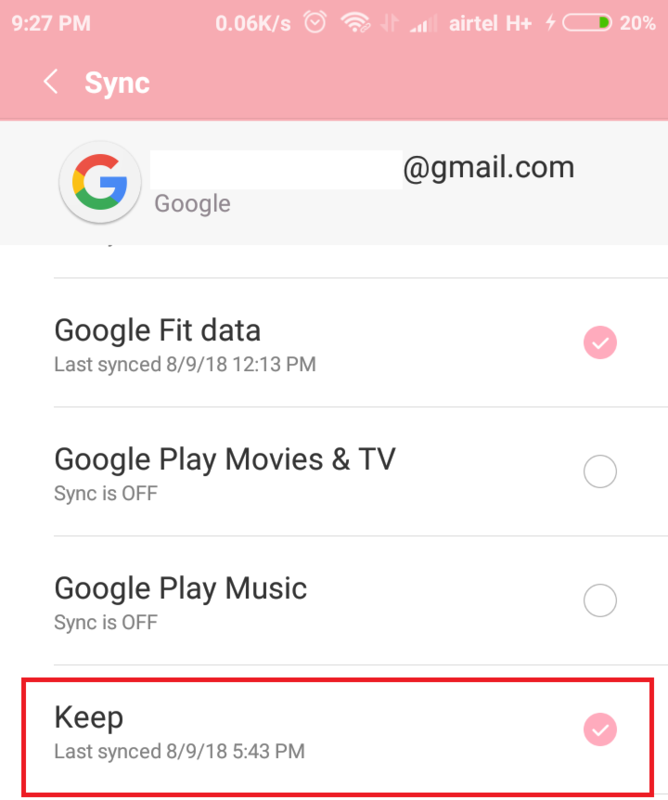 If the sync option is disabled for keep, you need to enable it. 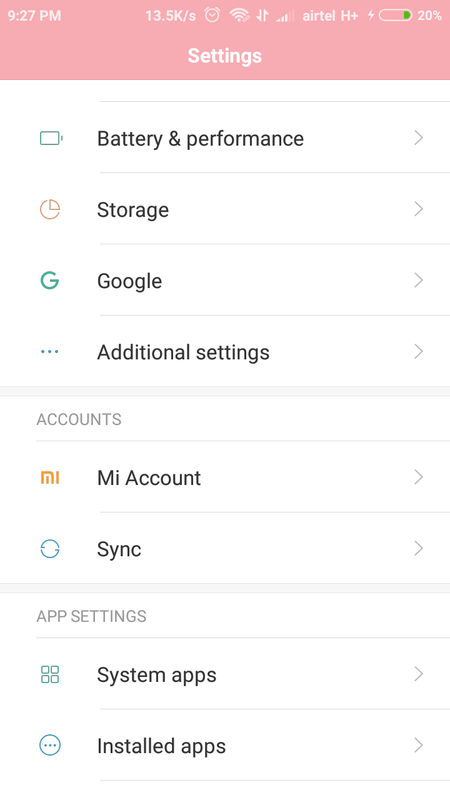 On your Android phone, tap Settings. Scroll down and tap Accounts > Sync. The settings can be a little different based on the smartphone you are using. Tap Google from the apps list and select the Gmail account associated with Keep. Find Keep, and if the syncing is off, it will show Sync is off status. 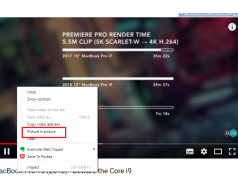 Turn on Sync for Keep by toggling the slide. 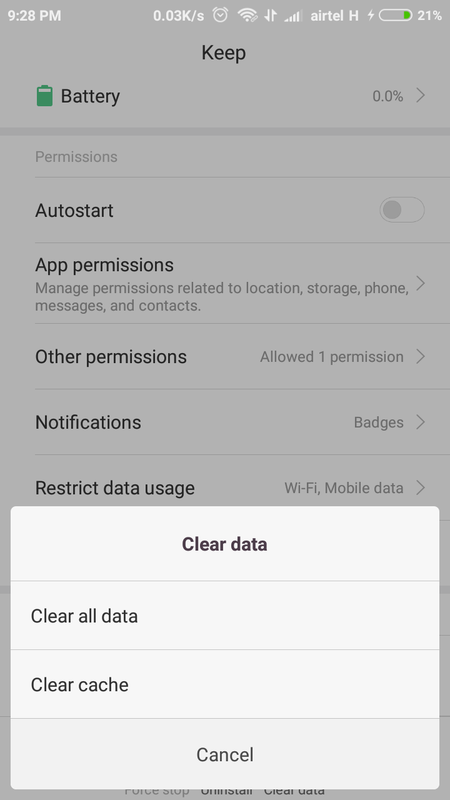 Clearing the cache and data can help you fix any issues with the apps. Same applies to Keep. Go to Installed Apps / Apps. Look for Keep and open it. Tap on Clear Data > Clear Cache. While there is no reason for a fully functional app to go, rogue, just because you didn’t update it to the latest version, app updates usually bring security patches and bug fixes. Updating Google Keep to the latest version can solve the syncing issue. Search for Google Keep and open the result. The update button will appear if an update is available. Tap Update. Once the app is updated, open and try to sync your notes. 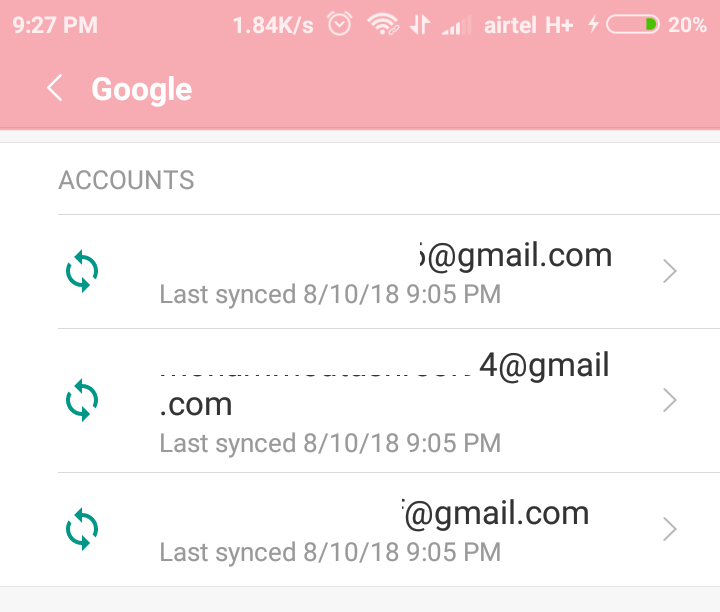 Removing and re-adding your Google account in the settings can do the trick as well. This has worked for a few Keep users, so give it a try. To do this, go to Settings and tap Sync. Tap Google and select the account you want to remove. Tap “Three-dots” and select Remove Account. Go back to Sync, scroll-down and tap Add account. Enter your Google account details and allow access. 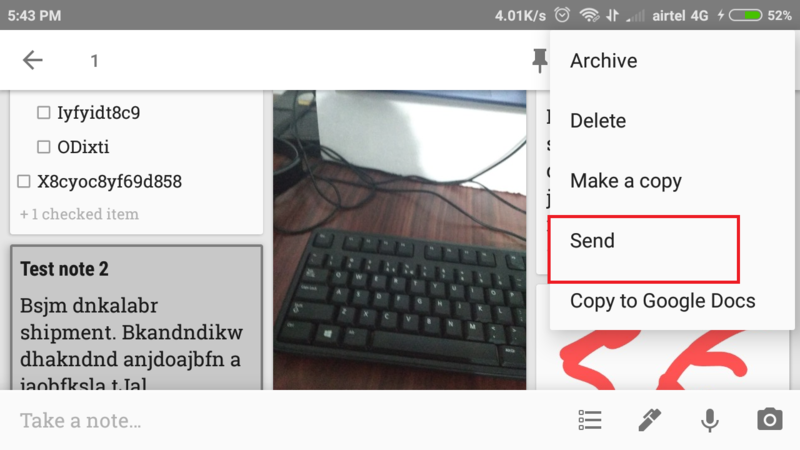 Try to sync Google Keep notes and images from the app now and see if it syncs. If nothing seems working, uninstalling and reinstalling Google Keep is one option you have. However, if you don’t want to do that, you can wait. If the issue is with several Keep users, the developers will release an update to fix the bug. So, if you can keep up with the problem, for the time being, waiting is the best option. 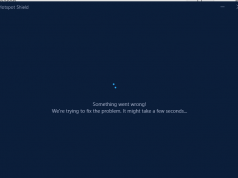 If you are planning to uninstall Keep to resolve the issue, then read the next steps. I will show you how to save your images before uninstalling Keep. Google Keep allows you to share notes through email. Unfortunately, you can only share one Note as email at a time. If you have multiple notes to share there no option as of now. When a user uninstalls keep, any unsynchronized data (including images and text) will be deleted along with the app. If you don’t want your images to be deleted after uninstalling Keep, you can send all the images as an email attachment to yourself. Same works with text notes as well. You can later download the images from the email and re-attach it to your notes. To do this, open Google Keep on your Android phone. Press and hold the “note” you want to send as email. Tap “Three-dots” on the right side and select Send. Select Gmail from the list of apps. Enter your email ID in “To”, and tap Send. The email will be sent to your Gmail ID even if you are using the same Gmail ID to compose this email. The email will contain any images from the notes as attachments that you can download to your PC or phone’s storage. 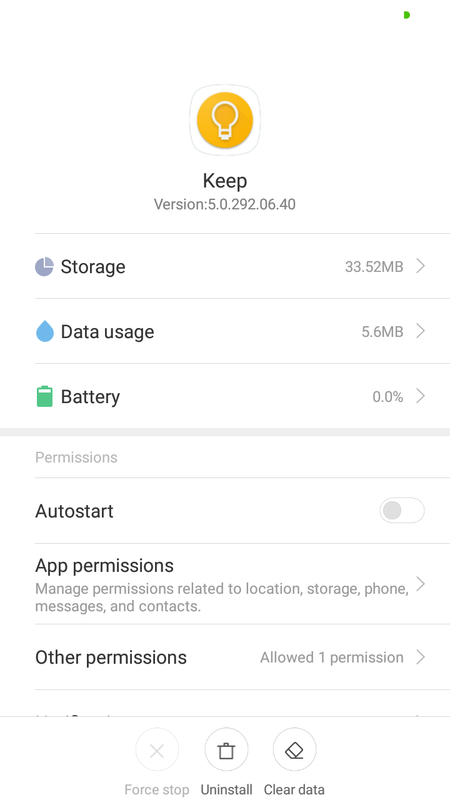 To uninstall Google Keep App go to Settings > Apps. Tap Google Keep > Uninstall > OK. These fixes should help you resolve Google Keep syncing problem. However, if you have decided to move from Google Keep to other apps like Evernote, that’s not easy either. 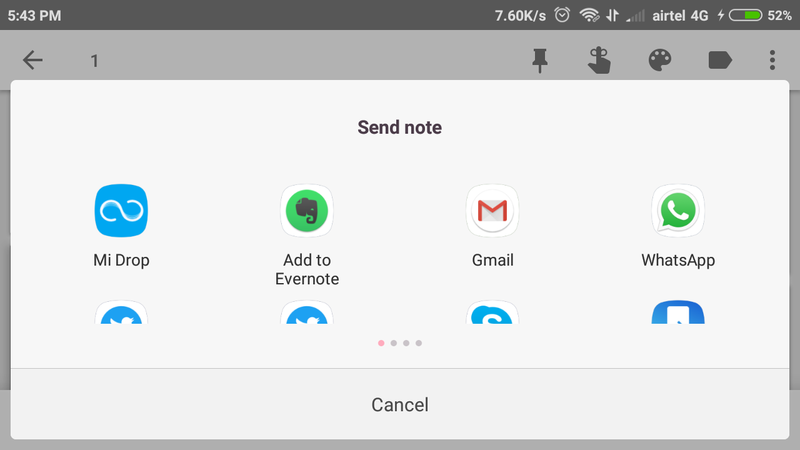 You can begin with my guide on importing Google Keep notes to Evernote. thank you. i turned on my keep sync option and problem fixed! Thanks, removing keep app and reinstalling did the trick, no more manually refreshing between desktop app and android app. Hi. This is useful information, thank you! However, many of the users ended up here because Keep doesn’t sync (uploads) images, only text. So procedures like clearing the cache or reinstalling the app lose a good deal of the purpose —for all those images would be lost (they haven’t been synced yet).